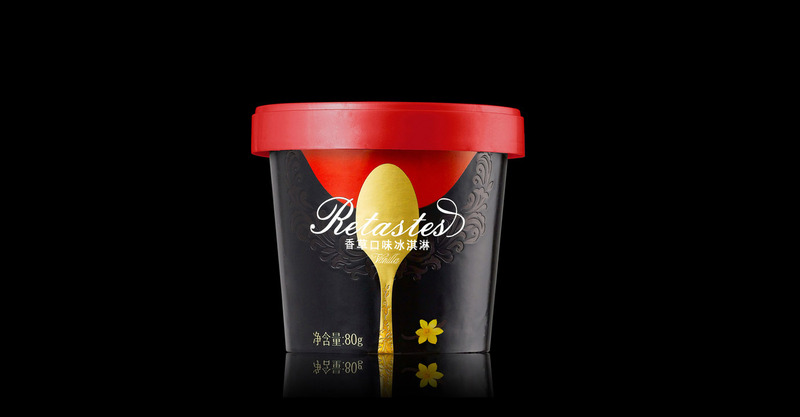 RETASTES is a high-end ice cream brand, with products made of preferred global raw materials, possessing excellent quality, of which the most famous favor is vanilla. 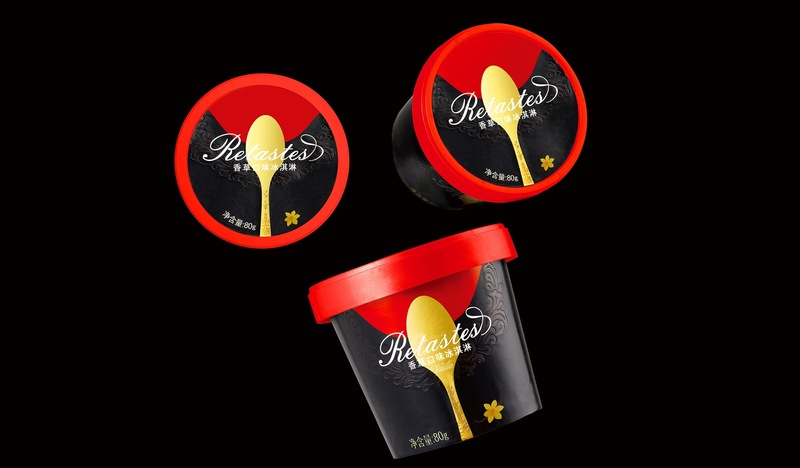 In study of consumer behavior, it finds that ordinary ice cream and high-end ice cream consumption scenarios and ways are completely different. 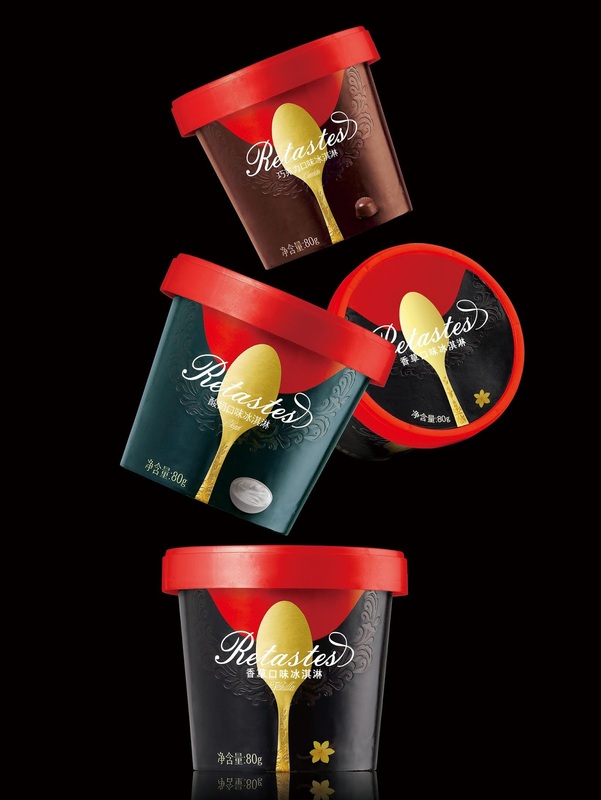 Most consumers will choose to eat ordinary ice cream quickly after purchase, while for high-end ice cream, more consumers choose to enjoy the process of eating ice cream in the quiet and comfortable or private space, in order to relax and enjoy. 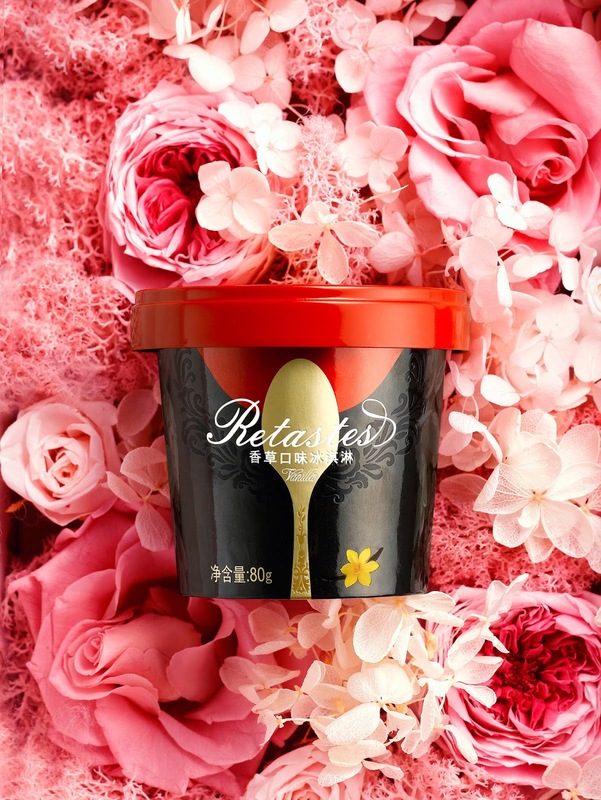 We integrated the product into such scene, where people are tasting delicious ice cream, with the spoon on the mouth to enjoy the thin aftertaste. 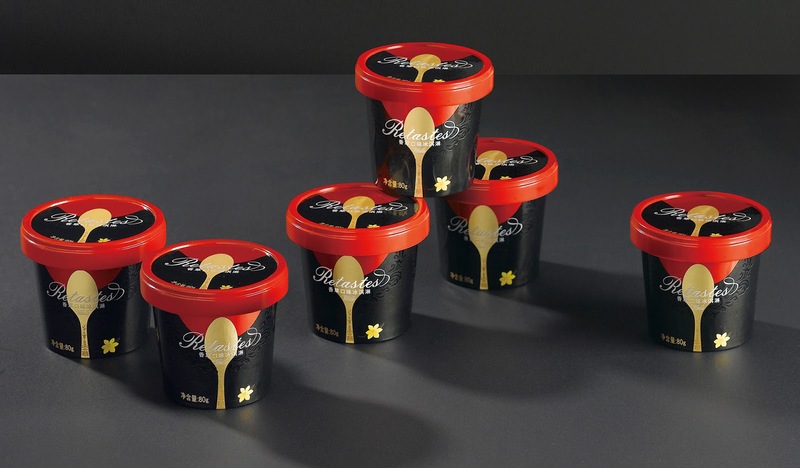 Spoon is the most commonly used tool to eat ice cream. 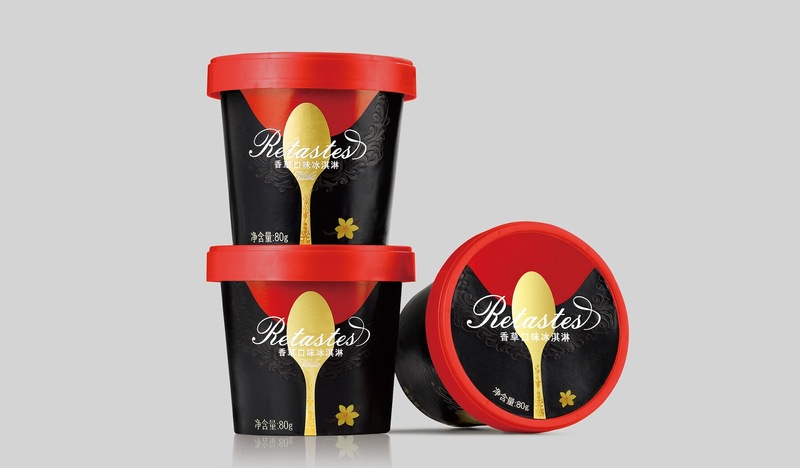 Ice cream product expert thought that the golden texture spoon revivifies high quality ice cream taste in the greatest degree. 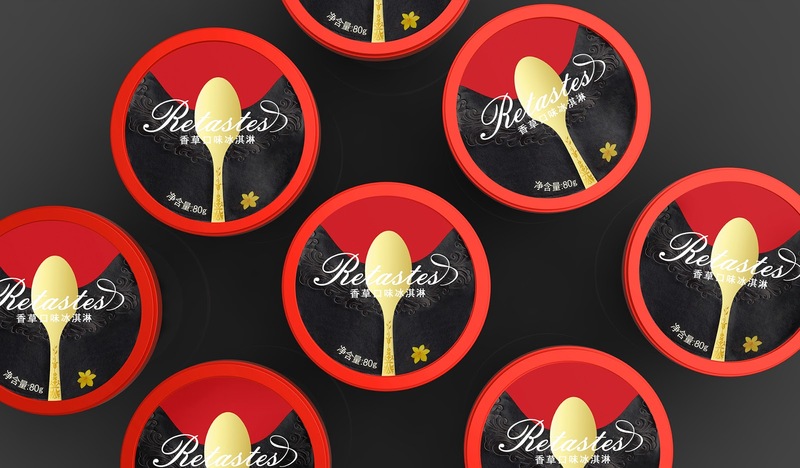 We use such delicious association in packaging, with golden spoon on the red lips, which is very simple and striking against the black background. It has very strong identifiability and at the same time with fashion and unique style.